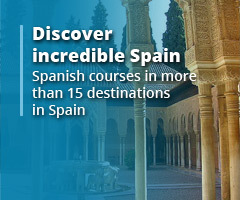 Spanish language schools may offer several different types of courses and diplomas. Some may give their students attendance certificates, requiring students to be present at a minimum number of classes. Certain school diplomas may require students to sit a final exam. While these qualifications can give you great personal satisfaction and prove that you have taken practical steps to learn a language well, there are certain qualifications, which are officially recognised worldwide. Because of this, they will look great on your CV, and give you access to further education and employment. We are now going to have a look at two of the official qualifications that you will often come across at UniSpain’s language schools: the DELE, and the Chamber of Commerce Business Spanish examinations. DELE What is “DELE”? The Diploma in Spanish as a Foreign Language, or DELE, is an official, internationally recognised Spanish language qualification. 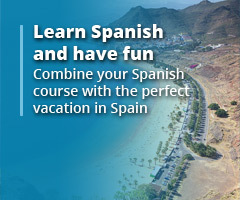 It is only available for students for whom Spanish is a foreign language. Benefits Perhaps the greatest thing about a DELE qualification is that it is a truly internationally recognised diploma, both in educational circles, as well as in the business world. The Diploma is offered to students who pass the DELE level exams. 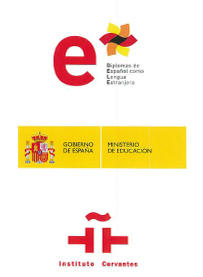 The diploma comes from the highest possible source in Spain – the Spanish Ministry of Education, Culture and Sport – and it is administered and granted by the Cervantes Institute. Cervantes Institute Named after the famous Spanish author Miguel de Cervantes, the Instituto Cervantes is a worldwide organisation that promotes Spanish language and culture all over the globe. The Spanish Government created the Cervantes Institute in 1991 and it is a highly respected non-profit organisation, as well as the largest of its kind. Exams and Levels The University of Salamanca also works alongside the Cervantes Institute to create the material for DELE examinations and to grade exam papers. 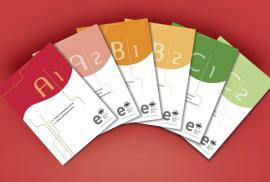 The examination levels follow the European CEFR framework, which means that tests are available for students from beginner (A1) all the way to expert level (C2). What are the exams like? Students are examined on five different aspects of Spanish: (1) reading comprehension, (2) written skills, (3) listening, (4) grammar and vocabulary, and (5) an oral test. The reading comprehension consists of reading a Spanish text and answering multiple-choice questions. During the written part students write a small piece or essay, and in the third part they must answer questions based on a listening exercise. The fourth part is where students answer multiple-choice questions and fill in words in blanks, to test their grammar and vocabulary skills. And finally, in the oral examination, the student has to speak Spanish for 10-15 minutes on a topic given by the examiners. Where do you sit the exams? Although students must sit the DELE examinations at one of the recognised DELE examination centres, many UniSpain language schools also provide DELE exam preparation courses. Some schools and universities act as both DELE preparation course providers, as well as exam centres. In the case of external preparation, after receiving the appropriate tuition at a language school, students present themselves at the nearest examination venue to do the test. Alicante University, Barcelona University, Madrid Complutense University, Malaga University, Salamanca University, Santiago de Compostela University and the Sampere Madrid language school. Cost The price for taking the test ranges from about 100€ to 200€ depending on your level. Beginners at A1 level pay the least and the most advanced students at C2 level pay the highest price. To this, you’ll need to add the price of a DELE preparation course. What is the Chamber of Commerce Exam? Passing the Chamber of Commerce Examination in Business Spanish offers language students official recognition for their knowledge of Spanish business vocabulary. Benefits A Spanish Chamber of Commerce Exam in Business Spanish is one of the most requested business qualification by employers. Students who wish to obtain a specific Spanish business language qualification for doing business in Spain, will benefit most from this qualification. The qualification provides Spanish language students with detailed, practical and current knowledge of Spanish business language and is extremely useful for employees at both multinational companies as well as smaller traders or import and export businesses. Exams and Levels The Madrid Chamber of Commerce offers three different levels of Spanish business language: basic, higher and diploma. The level of Spanish required from students is high. The basic diploma corresponds to the European CEFR proficiency level B2, and recognizes a reasonable level of business Spanish that is sufficient for carrying out everyday tasks in the workplace. The higher qualification corresponds to the CEFR C1 level and certifies a good command of the Spanish language as well as knowledge of Spanish for doing business. The diploma level is equivalent to CEFR C2, and proves the highest level of competence in business Spanish and focuses on economic and commercial topics in Spain and the Latin American countries. Exam preparation courses The courses that prepare students for the Chamber of Commerce Business Spanish examinations normally focus on past exams and how to pass the examination you have registered for. If you want to brush up on your business Spanish first, you may want to book onto a Business Spanish Course or an intensive Spanish course. You can often sit the exam in the school giving the preparation course. Exam and course content The course usually cover companies, commerce, banking, marketing and advertising, importation and exportation, Chambers of Commerce, the stock market, tourism, labour, taxes, Spain and the European Union. Price and length The prep courses, ending with the exam, are usually four weeks in length. Whilst the prices may vary, as a very rough guide you should expect to pay around 1200€ for the course, including tuition, materials and the exam fee. the Malaca Instituto in Malaga. What is your overall level of Spanish? Do you want a specialist qualification for pure business purposes, or for general educational and/or professional enhancement? 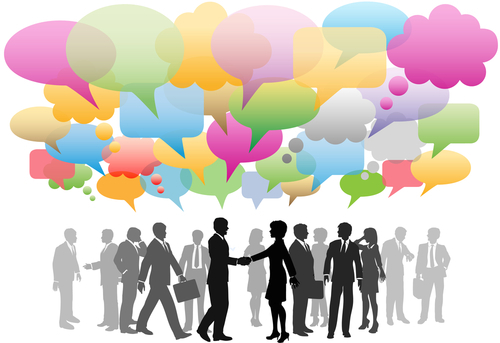 With the Chamber of Commerce Business Spanish examination, you must already have a fairly good fluency in Spanish. Just to sit the basic exam you must be able to understand the main points in Spanish conversation regarding every day things, read and understand articles and reports, deal with situation that arise when travelling in Spanish-speaking environments, express yourself in a structured way in Spanish and be understood by others, and finally, be able to write clear and detailed text on a wide variety of basic topics. What’s more, you will probably have a very specific interest in working in Spanish-speaking countries or doing business with businesses in Spanish-speaking cultures. The DELE examination on the other hand has much broader scope for all students who wish to boost their CVs, or reach certain educational or employment opportunities with an internationally recognised qualification. You can sit DELE examinations right from beginner level, so the examination is not only limited to those who are more fluent in Spanish. We hope that this blog article answered all your questions about DELE and Spanish Chamber of Commerce Business Spanish Examinations, but if you have any questions, don’t hesitate to visit UniSpain’s Business Spanish or DELE pages, or contact us for more information if you are interested in preparing for and sitting for either of these official examinations in Spain.